In 2013 Karris McCulloch and husband Scott launched TheVeganKind – an entirely vegan business that aims to help make veganism mainstream. Customers can subscribe to a monthly Lifestyle Box filled with a range of healthy food and drinks, sweet treats and snacks, and a wide variety of lifestyle products from laundry detergent to toothpaste. They also offer a Beauty Box that includes an ever-changing selection of vegan make up, skin care, toiletries and accessories. Karris and Scott are keen to give back to the people who dedicate their lives to helping animals, so each month they donate 10p from every Lifestyle Box sold to a different animal charity, chosen by their facebook followers. So far they’ve donated to sixteen different charities, and give 20p from each Beauty Box sale directly to Dr Hadwen Trust, a fantastic organisation dedicated to finding alternatives to using animals in research. 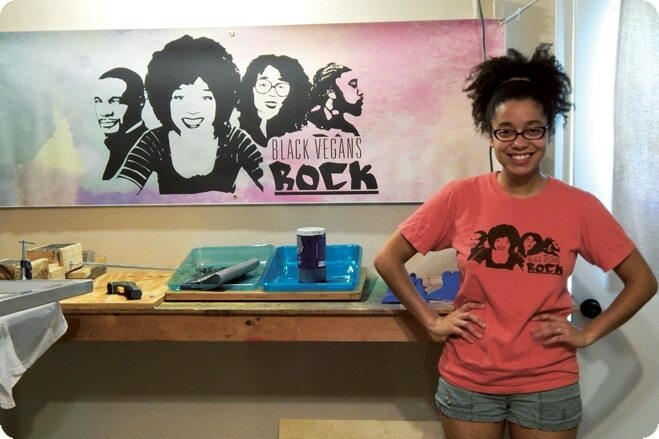 We caught up with Karris to find out what convinced her to go vegan, and why she started TheVeganKind. 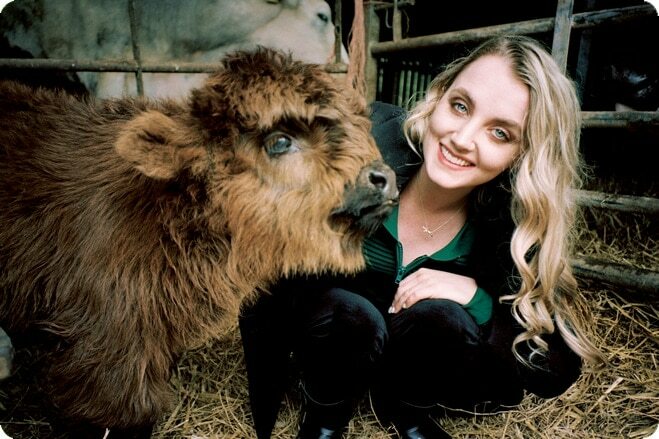 ‘I was a vegetarian who thought that as long as I wasn’t eating animals, I wasn’t contributing to any animal suffering. I was completely blind to the dairy and egg industry and was quite content that as a life-long animal lover, I was doing the right thing by being vegetarian. A few years ago, I came across a very graphic video on Youtube that showed male baby chicks being ground alive, simply as a by-product of the egg industry. 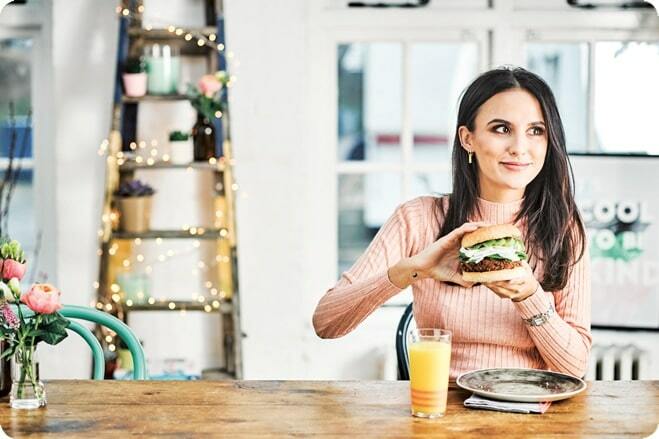 All of my pre-conceived notions of my vegetarian lifestyle came crashing down around me, and once I really started to do some digging, I realised that if I truly was vegetarian ‘for the animals’, I needed to go vegan. It was a gradual process but I soon started to eliminate animal products from my diet, and then began to consider the wider reaching aspects of veganism, such as the ethical boycotting of marine parks and zoos. Once you ‘make the connection’ everything starts to fall into place and it’s like a veil has been lifted! I only wish I had made the connection sooner. I am a perfect example of an animal lover who though they were doing their best at ending animal suffering simply by not eating them, and all it took was for me to watch a few videos on the internet and do a little bit of research to realise that if we are animal lovers, in the truest sense of the words, we need to be vegan. In my eyes now, it’s so simple and I wish I had known this sooner. That’s why I think it is so important to try to help educate others. I also think that it is important for others to realise that animals are not there for us to use in any way, and that doesn’t mean simply not eating them, or not using them for milk and eggs, or wool and leather, it also means not capturing them and keeping them in zoos and marine parks, or using them for our own entertainment. The only way to ensure that animals are given the rights they deserve is by encouraging a vegan lifestyle, and a compassionate world. I also feel a particular need to educate people on the importance and benefits of a vegan lifestyle because as mother of a three year old vegan child, and coming from an entirely vegan household, I want to dispel the myth that a vegan lifestyle or diet is lacking in some way. This couldn’t be further from the truth! My husband and my daughter are the healthiest, fittest people I know and I think it’s important that people understand vegan doesn’t equal weak, which is a common misconception. I think that for me, particularly working in a vegan business, every day I see things on our social media channels, or on pages that we follow, which remind me why I became vegan in the first place, and reinforces my belief in the lifestyle. Once you have that deep-rooted conviction, things like missing your favourite ‘pre-vegan’ chocolate bar just don’t seem significant anymore! There are so many resources out there to support you now, including a certain fabulous vegan magazine (ahem!) 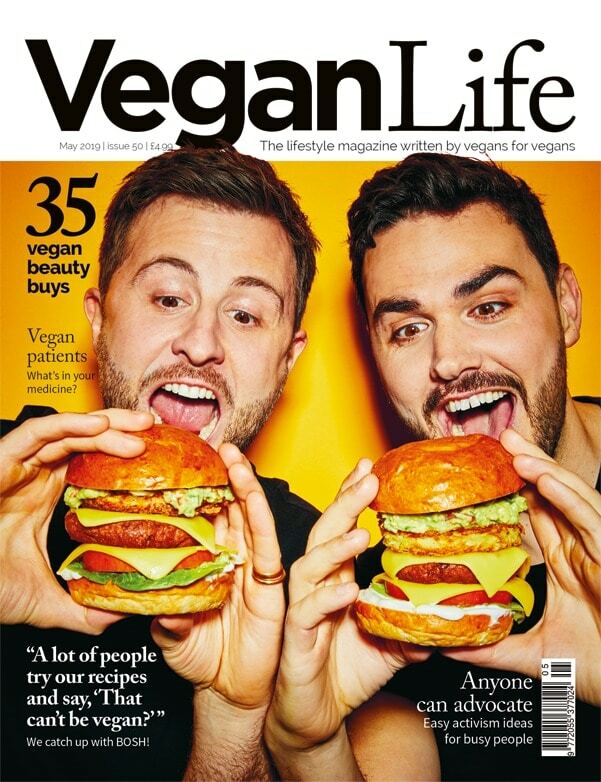 which is now easily and readily accessible to the masses – we were delighted to see Vegan Life in our local Tesco in Glasgow recently which was just a joy to behold. Campaigns like Veganuary which help encourage a huge audience to try a vegan lifestyle are brilliant, and they have a huge variety of recipes and information available on their site too. Life as a vegan is becoming easier and easier every day, which is just wonderful. Since I have switched to a vegan lifestyle, I feel a deep sense of contentment, knowing that I am doing everything in my power to live a kind and compassionate life and that I am not contributing to any animal suffering in any way. I definitely focus now more than I ever did on ensuring I get the correct nutrients, so I think I am probably more aware of my health than I have ever been, which is hugely positive. I also feel like for the most part, it’s a wonderful community to be a part of and I have been lucky enough to have met some fantastic people along the way on this journey. Social media has played a huge role in this, and for new vegans especially, it’s never been easier to connect with people, gain information and to enjoy the benefits of a vegan lifestyle. I would encourage everyone to look on Facebook for local vegan groups – I am a member of VEG (Vegan Edinburgh and Glasgow) and it’s a group full of information and knowledge, along with some rather lovely people who live locally, which is great if you are looking to meet up and socialise with other vegans. We are very lucky here in Glasgow – we have around 5 or 6 dedicated veggie/vegan restaurants. Glasgow was actually named as the UK’s most vegan friendly city, so I am spoiled for choice! My favourite restaurants in Glasgow are Stereo, The 13th Note and Mono. My other favourite place to eat is Vegfest, or in fact any of the vegan events we go to. They are always full of fantastic stalls with such a huge variety of vegan food.